Black Friday in Venice: A. Kinney Court - Yo! Venice! 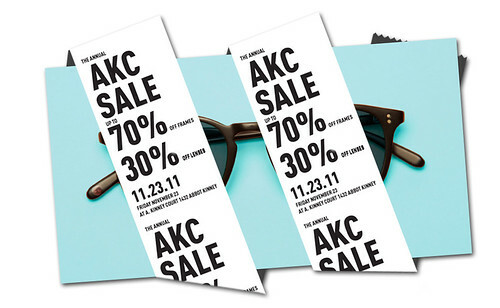 A. Kinney Court / Garrett Leight California Optical at 1423 Abbot Kinney is having a black Friday sale! Frames are 70% off and prescription glasses are 30% off! Good deal! Check out the glasses by clicking here!